We know its an early shoulder season but lets party this week with $4 shots, $12 pitchers and $5 pints all night long! We came. We played. We loved. 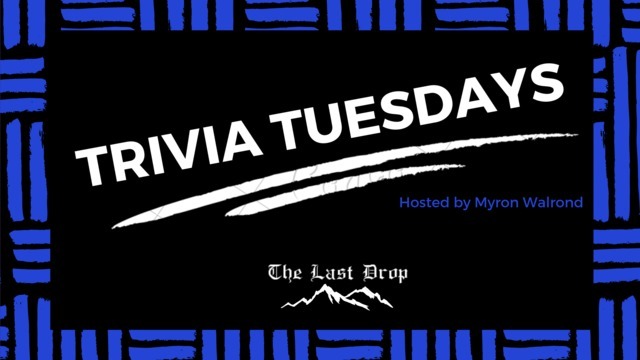 Our host Myron from down under is probably getting deported very soon so we have to host THE LAST TRIVIA TUESDAY THIS WEEK! We've got 50 questions, a bonus music round AND a novelty game! The winning team will get a $50 gift card that can be spent on both food or drinks at The Last Drop. We've also got bar swag and some liquid prizes to give away during trivia as well so don't think that winner takes it all!